US Secretary of State Rex Tillerson has changed his position regarding the Myanmar government's actions against the predominantly Muslim Rohingya people, branding it as "ethnic cleansing." In a statement released this Wednesday, the top US diplomat blasted the brutal military operation conducted by the Myanmar armed forces in Rakhine State that has targeted ethnic Rohingyas. Tillerson, who visited Myanmar on the 15th of November, stressed that "no provocation can justify the horrendous atrocities that have ensued." "These abuses by some among the Burmese military, security forces, and local vigilantes have caused tremendous suffering." "After a careful and thorough analysis of available facts, it is clear that the situation in northern Rakhine state constitutes ethnic cleansing against the Rohingya," the State Secretary added. Earlier, Tillerson took a more hesitant approach towards his description of the events in the Southeast Asian country, where an estimated 615,000 people have been forced out of their homes, fleeing for shelter into neighboring Bangladesh. Immediately after his trip to Myanmar, the US Secretary of State caused an uproar, when he refused to label the military operation "ethnic cleansing" and opted in favor of saying that it "has a number of characteristics of crimes against humanity." Finally! Rex tillerson declared crimes against Rohingya muslims as "Ethnic cleansing"
— Armeena Raza 🇵🇰 (@ArmeenaRaza) 23 ноября 2017 г.
Tillerson's painful search for the appropriate words with which to describe the Rohingya Crisis reflects the considerable difficulties that the US encounters in its attempts to manage the conflict in Myanmar. On the one hand, the Americans clearly cannot ignore the international community's call to denounce the brutalities and crimes against the Rohingya people. For instance, Britain, the US' closest ally has recently come forward to address the Myanmar government's role in a "major humanitarian crisis." Last week, a spokesman for British Prime Minister Theresa May stated that the military operation in Rakhine State "looks like ethnic cleansing." 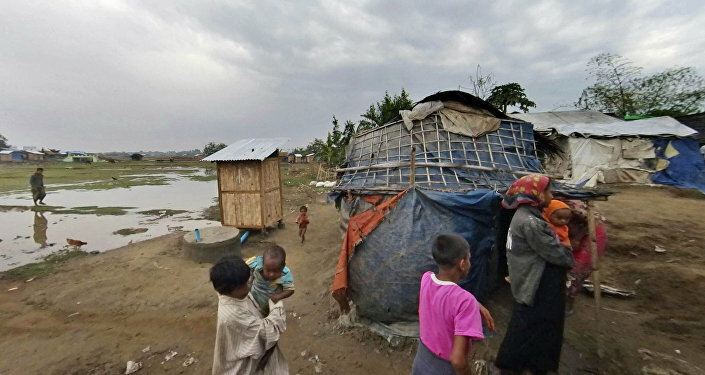 Similarly, a number of human-rights NGOs, such as Amnesty International, accused Myanmar of "apartheid." On the other, the US must tread carefully in order to avoid jeopardizing a delicate power-sharing agreement between the Myanmar military and its democratically-elected civilian leadership that acts as a safety valve against a full-scale civil war. 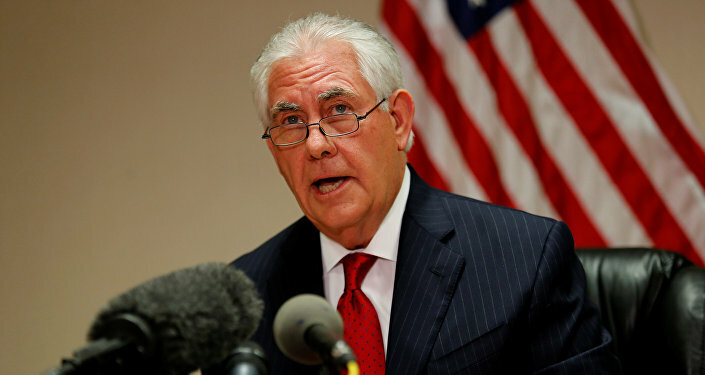 Even in his later statement, condemning the actions by "some among the Burmese military" as "ethnic cleansing," Tillerson confirmed that the US will stand by its decision to support the Myanmar government in the resolution of the crisis. "I reaffirmed the United States' strong commitment to Burma's successful democratic transition as the elected government strives to implement reforms, bring peace and reconciliation to the nation, and resolve a devastating crisis in Rakhine State". "We support the Burmese government's commitment to create the conditions necessary for all refugees and internally displaced people to return to their homes safely and voluntarily, and welcome recent exchanges between the governments of Burma and Bangladesh on repatriation", he added. Moreover, the US diplomatic sources quoted by CNN, indicate that the term "ethnic cleansing" may not mean much to the State Department, as it is a "descriptive term" that does entail any legal consequences and is unlikely to affect the US relationships with the Myanmar government. "The term 'ethnic cleansing' is not defined in the context of either international law or domestic law," a senior State Department official told CNN. "However, it is a descriptive term, and it carries with it this sense of urgency." Since October 2016, the conflict between Myanmar's Buddhist majority and the predominantly Muslim Rohingya has escalated considerably. Sparked by insurgent attacks on the government's military outposts, the confrontation rapidly descended into brutal clashes that resulted in the deaths of over 2,000 people and displacement of some 600,000 more.